The technology and methods used to develop, build and install modern water pumps and wells have been fairly improved in last few decades. However, that doesn’t mean they have become entirely impregnable to faults and malfunctions. Any water pump can start troubling over a period of time regardless of its quality. Fall has already started and winters are also not that far. This is the best time for homeowners to have water pump maintenance sorted to avoid any major problem during the period of chilling temperatures. In order to find out whether your water pump needs a professional maintenance, few inspections must be conducted by an expert water pump technician. A water pump can only optimally function if its each and every mechanical component is working properly. It’s a basic physical phenomenon that material things deteriorate over time. Mechanical components of a water pump also bear the brunt of time and get out of shape and order. A constant noise and formation of air pockets are some telltale signs of mechanical issues with the pump. Homeowners overlooking these anomalies have to eventually suffer a total pump failure. Before that happen, have an expert to check your pump for its mechanical health. Apart from directly conducting some mechanical inspections, professionals also conduct pressure tank test and water flow test. Upon detecting an issue, they replace or repair the troubling mechanical part before it turns into complete malfunction. In regions where groundwater is hard, it is pretty common for commercial and household water pump activity to get affected by mineral accumulations. Hard water actually contains traces of lime, calcium, magnesium and other scaling minerals. Over time, they accumulate on the lining of a supply line resulting in obstructing the water flow and damaging mechanical parts of the pump. Therefore, it is important to have your water system inspected for mineral accumulations once in a while. Professionals have the expertise to identify different mineral deposits. They are also equipped with effective methods to remove the mineral scaling and soften the water supply. Without having regular inspections, you will only come to know about the issue of mineral accumulations with dropping water production, or worse, by the failure of the entire pump assembly. Water pump maintenance is not just about keeping it in a working state. It also entails the maintenance of the quality of the water supplied through it. Therefore, water testing is also a part of the maintenance regimen. There are multiple reasons behind the contamination of groundwater. Experts test water for the presence of different bacteria species that are detrimental to human health. A good water testing process checks water samples for microscopic contaminants such as E.coli, and cryptosporidium. 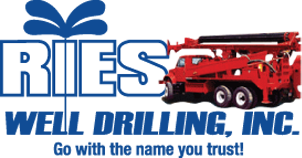 For regular inspections and repairs of the water system of your house, you can count on the services of RIES Well Drilling. Our professional technicians are equipped with the expertise required to guarantee the optimal functionality of a water pump and associated components. We can be reached at (586) 784-9516 and we hope to hear from you soon!